Built on 600 sqm land, this spacious and charming villa is for sale with interesting options. 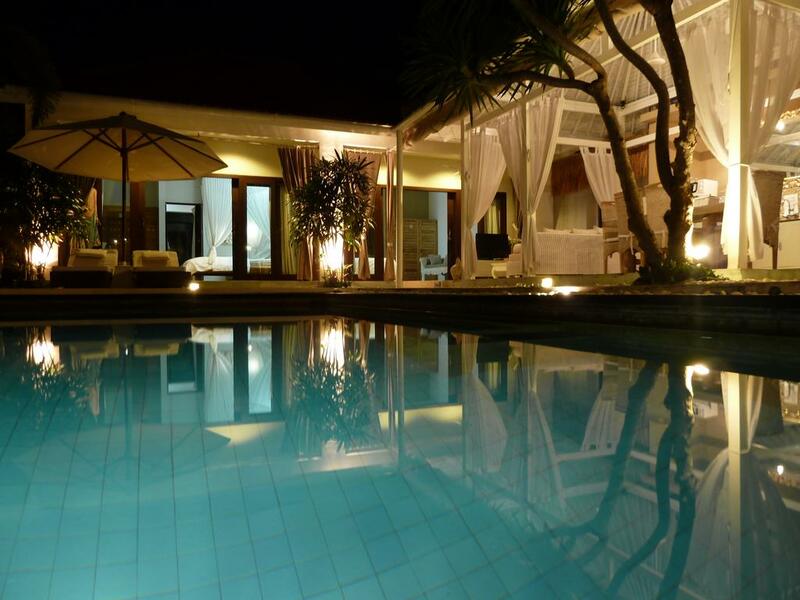 Let yourselves enchanted by the soothing atmosphere while entering the villa through the stepping stones, framed by a fish pond and greenery from the garden. The house owns two separated buildings, the main one shelters the living area, kitchen and dining corner which are furnished and decorated with taste. The three bedrooms are located side by side, all beautifully furnished, air-conditioned with the semi-open space bathrooms featured. The property comes with a large and beautiful swimming pool where you can relax can enjoy your nap time in the small gazebo on the corner of its tropical garden. 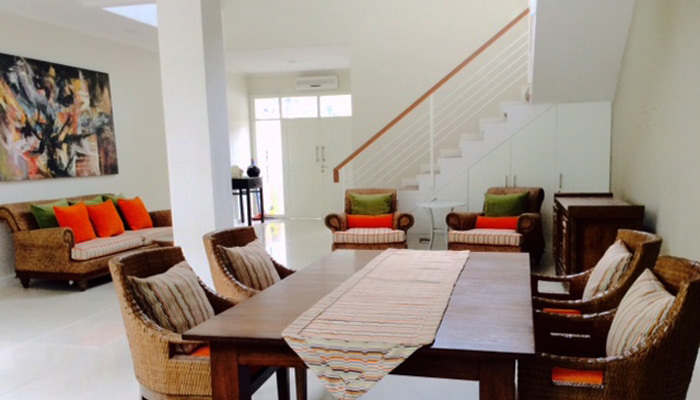 The villa is located in Kerobokan area, where plenty of restaurants, groceries stores and bakery are close by. Canggu with its well-known Echo beach surfing spot and Canggu Club is only 5 minutes away while Seminyak center with its great bars, restaurants and high-end boutiques is in 10 minutes-drive.